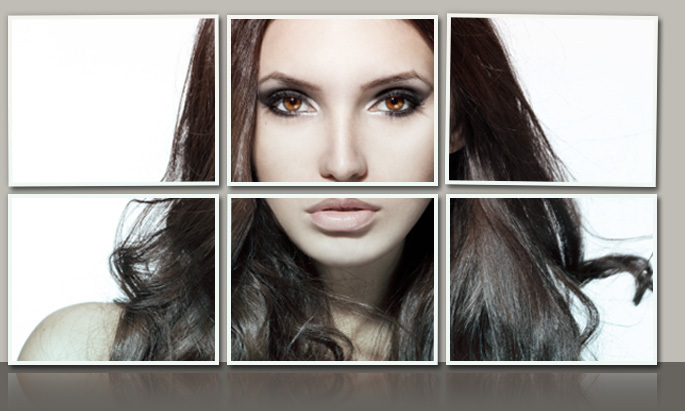 Dr. Gerzenshtein is regarded as one of the most highly talented Tampa plastic surgery specialists. He offers a variety of advanced procedures for the face and head, including rhinoplasty and ear surgery. The latter treatment, also known as otoplasty, helps individuals with prominent and/or misshaped ears achieve a proportionate, beautiful ear contours. Over the years, Dr. Jacob Gerzenshtein has performed numerous otoplasty procedures and has established a reputation as a foremost ear surgery Tampa, FL specialist. In the paragraphs below, he explains the procedure of otoplasty in Tampa and the remarkable aesthetic results that can be achieved through it. 1.) How long is the healing time after otoplasty or ear pinning? Though all otoplasty patients recover at their own pace after ear reshaping, there are some general trends. The initial pain subsides over the course of two to three day. Swelling and discoloration may worsen after an ear pinning over the course of the same several days. It is a good idea to have someone at home to assist the patient in the immediate postoperative period. Strong pain medication will be needed in the first one week after otoplasty. Thereafter, normal, non-strenuous activities and work or school may be resumed. Swelling and bruising may persist for up to two months after ear-pinning and ear reshaping surgery. Heavy exertion, and any activity, or contact sport that may result in injury should be avoided for first two post-operative months, as should sun exposure. 2.) What is recovery like after otoplasty or ear pinning surgery? 3.) Is otoplasty or ear-pinning performed under local or general anesthesia? Depending on the individual patient’s pain tolerance, comfort with awake procedures, and acceptance of the risks of general anesthesia, otoplasty may be performed under straight local anesthesia, local anesthesia with sedation, or local anesthesia combined with general anesthesia. Most young children will not tolerate otoplasty under straight local and will need sedation or general anesthetic in addition. You will note that in every case, local anesthesia is used. This is done for two very good reasons. Local anesthetic contains epinephrine, known to decrease bleeding through contracting blood carrying vessels, making the procedure technically easier through improving visualization (by not having a bloody operating field), and making it safer through decreasing blood loss. The second beneficial effect of the use of local anesthesia in ear pinning is the significant decrease in the intensity of pain reported by patients after. 4.) What is involved after the surgery? After surgery it is best for you to go to bed with your head elevated on two pillows. Try to sleep on your back only. A compressive dressing will be present over one or both ears, depending on your surgery. The dressing may be entirely soft, or have a rigid external plastic muff. You may apply dry cold packs to your ears (OVER THE DRESSING) for 15 minutes at a time to minimize the amount of swelling you will have after surgery. Do not be alarmed if you continue to swell after the first 24 hours. Swelling reaches its peak at 48 to 72 hours. If you have pain, take the pain medication every 3 hours. It is best to take pain medication with crackers, Jell-0, etc. If you have no pain, do not take the medication. Alcohol and pain medicine should not be taken together. A light diet is best for the day of surgery. Begin taking liquids slowly. You can start a soft regular diet the next day. The original post-operative dressing will be changed by Dr. Gerzenshtein in the office. You will be instructed on the application of a Neosporin, Adaptic, and gauze dressing twice a day thereafter. After removing each old dressing, but before placing the new, you may gently wash the ears, either alone or while showering with soap or shampoo. While washing and drying the motion should be one of patting only, not wiping. While the nasal splint is on, you may have your hair washed in beauty salon fashion. Take care to prevent the splint from getting wet. Strenuous activity (aerobics, heavy lifting, bending over, etc.) should be restricted for 3 weeks after surgery. After 2 weeks you should slowly increase your activities so they are back to normal by the end of the third week. Be careful to avoid hitting your ear(s) for 6 weeks after surgery. After the splint or dressing is removed, do not allow glasses or anything else to rest on your ears for 4 to 6 weeks. Contacts may be worn instead. The skin of your ear(s) will be sensitive to sunlight after surgery. Protect it from excessive exposure to the sun for 8 weeks. Wear wide-brim hats and/or sun screen (SPF-15 or greater) if you have to be in the sun for prolonged periods. Pus-like or foul smelling drainage. Temperature greater than 100 degrees. Increased pain in nose or cheek areas often accompanied by a headache. 5.) Is bleeding or bruising normal after otoplasty? Bleeding and/or bruising after otoplasty varies between individual patients. Swelling tends to be at its worst 3 days after ear-pinning, and will subside to acceptable levels over the next week. Some swelling will remain for upwards of a month. Bruising, although less common, will persist for 2-4 weeks, and will turn all manner of colors as the blood cells’ contents are taken up. Otoplasty is the surgical name for ear-pinning, performed for prominent ears. There are multiple causes described for the prominent ear(s), but usually the two most common are an overly prominent conchal bowl (the cup or bowl shaped part of the ear that surround the external ear canal opening, and the loss of the fold found at the outside top part of the front ear(s). The first is treated by suturing this bowl to the skull covering (periosteum) in the back of the affected ear. The second by recreating the fold via sutures placed to fold the ear over its back portion. 7.) Is otoplasty a painful? Otoplasty or ear-pinning itself should be painless, whether performed under sedation with local anesthetic, or general anesthesia. It is the postoperative period that some may find brings discomfort. Assuming the postoperative course is without complication, pain from otoplasty or ear-pinning surgery peaks the day after surgery, and diminishes over the course of the following three to four days to be tolerable enough without the use of narcotics. Of course, pain tolerance varies significantly from patient to patient. The 72-96 hrs time frame is a “ballpark” figure, and a reflection of personal experience. Several other important factors are crucial to consider in breast enlargement surgery. Pre-incisional administration of local anesthetic greatly diminishes postoperative breast enlargement surgery pain. Postoperative pain and tenderness can be further affected by the degree of surgery or the surgical technique used to reshape and pin the ear. 8.) What are some risks and complications associated with ear-pinning or otoplasty? Risks associated with otoplasty surgery may be grouped into anesthesia risks, and surgical complications. Anesthesia risks are common to any surgery and are discussed elsewhere. Events such as cardiac complications (heart attacks or myocardial infarctions), allergic or anaphylactic reactions, lung-related adverse effects (pulmonary embolism, pneumonia), kidney, liver, or any other organ system problem would all fall under that category. Complications related to the act of surgery may be grouped into risks involved in undergoing any procedure, and risks particular to otoplasty or ear pinning. Risks of any procedure include bleeding or hemorrhage, infection, whether skin, soft tissue, abscess, or necrotizing, acute and chronic pain, and acute or chronic skin sensitivity. Delayed healing is more common is persons with vascular disease and smokers. Fluid collections known as seroma may occur in the dissected space, this typically resolves with fluid drainage. Fine results are anticipated but never guaranteed. Dissatisfaction with the cosmetic outcome of any procedure will require procedural correction. Complications related to specifically to otoplasty surgery include asymmetry, which may need surgical correction through re-operation, inadequate correction of the protruding ear(s). Contour abnormalities, divots, lumps, bumps, wrinkles may result from otoplasty surgery. When presenting weeks after surgery, irregularities may be a result of internal scarring. They typically resolve without issue, but may need correction in some cases. Recurrence of the prominent ear is probably the most common negative outcome in ear-pinning surgery, the procedure must be repeated along with any modifications to prevent recurrence. Trauma to the operated ear(s) is usually the cause early on, and the operative site(s) must be protected for 6 weeks after surgery to avoid having to re-operate. “Dog ears” are infrequent, typically found at the back of the ear lobe, and may also require secondary correction. Scars are not particular to the otoplasty procedure, but their prominence, or asymmetry if present, may be disturbing. Because the incision is placed behind the ear(s), even if the scar(s) become prominent, one would have to look behind the ear(s) to note them. Although bleeding is not particular to otoplasty it deserves special mention as any un-drained blood under the operated ear skin may lead to significant cartilaginous scarring and overlying skin changes. Blood should be evacuated immediately if accumulated, to prevent this. Infection is not particular to otoplasty surgery either, but its presence also deserves mention because there is a high likelihood of involvement of the ear cartilage, necessitating prolonged, and possibly intravenous antibiotic treatment and possibly surgery. The loss of skin sensation over the back surface of the ear is common, and results from cutting across the nerves that supply that skin, by necessity. It typically resolves totally, but may not. 9.) What is ear-pinning surgery? 10.) Where is otoplasty surgery performed? Pinning of the ear(s) may be performed in an office operating room, an AAAASF approved surgical center, or a hospital operating room. Depending on the individual patient’s pain tolerance, comfort with awake procedures, and acceptance of the risks of general anesthesia, otoplasty may be performed under straight local anesthesia, local anesthesia with sedation, or local anesthesia combined with general anesthesia. The type of anesthesia will, to some degree, limit the setting in which otoplasty may be performed. 11.) How long does otoplasty take to perform? The magnitude and nature of the problem, and whether both sides are addressed dictate what the operative times will be for ear-pinning and/or reshaping. Aside from addressing a protrusion some ears may require additional sculpting and reshaping of the underlying cartilage if other deficits are present. At the shortest, assuming the least involved pinning procedure of suturing the ear bowl to the scalp the procedure would take one and a half hour for both sides. At its longest, otoplasty can take up to 4 hours. 12.) Where are otoplasty incisions made over the ear surface? In the great majority of cases, over 90%, Dr. Gerzenshtein places the incisions over the posterior (backside) aspect of the ear(s). In cases requiring more than routine ear-reshaping, limited anterior (front) ear incisions are used. 13.) Does otoplasty surgery leave scars? Scars are not particular to the otoplasty procedure, but their prominence, or asymmetry if present, may be disturbing. Because the incision is placed behind the ear(s), even if the scar(s) become prominent, one would have to look behind the ear(s) to note them. Most of the time, however, the scars heal very well, and are not detectable even on reflecting the ear to the front. 14.) Am I a good candidate for ear-pinning surgery or otoplasty? There are generally two subsets of patients who present for ear-pinning and/or reshaping, the child who is brought in by a concerned parent, and the older individual who has, after many years, decided to improve their aesthetic appearance for whatever reason. The child may be brought in because of a parent’s concern for the child’s appearance only, or because of repeated teasing, social shunning, and attendant effects on self-esteem, sports, or school performance. It is best to undertake repair of the prominent ear just before first grade. At that point, the ear has attained roughly 85% of it’s normal adult size, and any growth disturbance from the operation would be negligible, however, there is much advantage to performing the procedure before the badgering starts, allowing the child to undergo normal development without the psychological trauma that typically follows. Anyone with real concerns about the function or appearance of their ear(s) makes a good candidate. Unrealistic expectations, deficits that only the patient can see, psycho-emotional instability, the belief that one’s entire life rests on undergoing the procedure are all red flags. Obviously the ideal candidate would have no medical problems that would preclude an operation; as long as a patient is healthy there is no real upper age limit on the procedure. 15.) Am I too old for correction of the prominent ear? Too young? 16.) Can correction of the prominent ear (otoplasty) be performed on children who are less than five years of age? It is best to undertake repair of the prominent ear just before first grade. At that point, the ear has attained roughly 85% of it’s normal adult size, and any growth disturbance from the operation would be negligible, however, there is much advantage to performing the procedure before the badgering starts, allowing the child to undergo normal development without the psychological trauma that typically follows. Performing the procedure any earlier than five years of age may result in unacceptable asymmetry between an unoperated and operated ear, or may make both ears, if both were operated upon smaller than normal. 17.) How long will I need to take off from work or my child from school to recover from otoplasty? Typically, one full week of recovery is needed prior to resumption of academic or work activities. All otoplasty patients recover at their own pace after ear reshaping, there are some general trends. The initial pain subsides over the course of two to three day. Swelling and discoloration may worsen after an ear pinning over the course of the same several days. It is a good idea to have someone at home to assist the patient in the immediate postoperative period. Strong pain medication will be needed in the first one week after otoplasty. Thereafter, normal, non-strenuous activities and work or school may be resumed. Swelling and bruising may persist for up to two months after ear-pinning and ear reshaping surgery. Heavy exertion, and any activity, or contact sport that may result in injury should be avoided for first two post-operative months, as should sun exposure. 18.) How long after otoplasty or ear reshaping may an exercise program be resumed? Non-strenuous exercise may be restarted after one week. Rigorous exercise may be resumed within four weeks after otoplasty. Contact sports, or sports where contact is likely should be avoided for at least 6 weeks to prevent dehiscence or disruption of otoplasty suture. 19.) How long after otoplasty are sutures typically removed? Dr. Gerzenshtein’s preference is to use absorbable sutures in otoplasty surgery, obviating the need for suture removal. In the infrequent instance that non-absorbable sutures are used, stitch removal takes place 10-14 days after ear-reshaping surgery. 20.) Is otoplasty covered by insurance? Typically, ear reshaping undertaken to repair deformities in the child is covered when there is concern for the possibility of psychological trauma as a result of persistent teasing. It is unlikely that aesthetic otoplasty in the adult would be covered for the same reasons. 21.) How do I find a qualified surgeon certified by the American Board of Plastic Surgery? The American Board of Medical Specialties is the centralized entity that maintains a record of ALL physicians’ REAL board certification. The credentials of your chosen physician may be verified accurately and without misleading titles on their website. 22.) Do you NEED a surgeon board certified by the ABFPRS, or the ABCS, or the XYZ? The American Board of Plastic Surgery (ABPS) IS THE ONLY BOARD specialty recognized by the American Accreditation Council for Graduate Medical Education (ACGME). This is the regulatory body overseeing resident education in ALL medical specialties including internal medicine, general surgery, etc. Any board which is not recognized by this entity is not subjected to its rules and regulations. The ACGME therefore does not recognize anyone trained in any program recognized by such an ARBITRARILY defined board. The truth of the matter is that if anyone wanted to set up the American Board of Facial Upper Outer Eyelid Lash Surgeons, they could do so without any problems, without even so much as a medical degree. To the general public it would seem as though anyone trained in a “program” recognized by such a “board” has special training in the upper out part of the eyelid, and the upper outer eyelid surgeon would bask and revel in the fruits of this flagrant lie. The truth is that ACGME plastic surgery training takes from 6 to 8 years and encompasses all of plastic surgery, in its every detail. Surgeons not trained in such a manner typically have one year of so called “plastic” surgery and think themselves expert. Because they claim to be specialists in a particular area, an implication is made that they underwent plastic surgery training followed by specialty training. This is another blatant lie. Of course the public is unaware of any of this because the industry is only regulated on the postoperative lawsuit end. Don’t get me wrong, there are a few cosmetic surgeons, who are not plastic surgeons, who are quite good; there are exceptions to every rule. There is also a fair amount of ASPS surgeons who are quite bad, again not the rule. But to say that one NEEDS a surgeon who has this board certification not recognized by the ACGME is a preposterous flagrant lie. Another important consideration that is often ignored is the ethical character of the “surgeon.” Let’s suppose someone is not certified by the American Board of Plastic Surgery, let’s also suppose that they are really good with their hands, and have done many, many aesthetic procedures. How many people would have had to be their “first,” in any given procedure before they accumulated enough experience to obtain good, reproducible results. Would you really want a “physician” of such limited moral fiber to do your surgery ? The bottom line is this; what you need is an honest physician, who is safe, gets good results, and is strongly endorsed by his or her patients, not the founder of the American Board of the Middle Upper Lip Cosmetico – Aesthetic Surgery. Dr. Gerzenshtein is committed to the pursuit of surgical excellence and ultimate patient satisfaction. In order to deliver the finest possible facial rejuvenation results, he sometimes recommends and performs a combination of procedures, such as forehead lift and eyelid surgery in Tampa. In addition to performing these procedures, Dr. Gerzenshtein also specializes in helping face lift and rhinoplasty Tampa patients realize their dreams of attractive facial profiles.